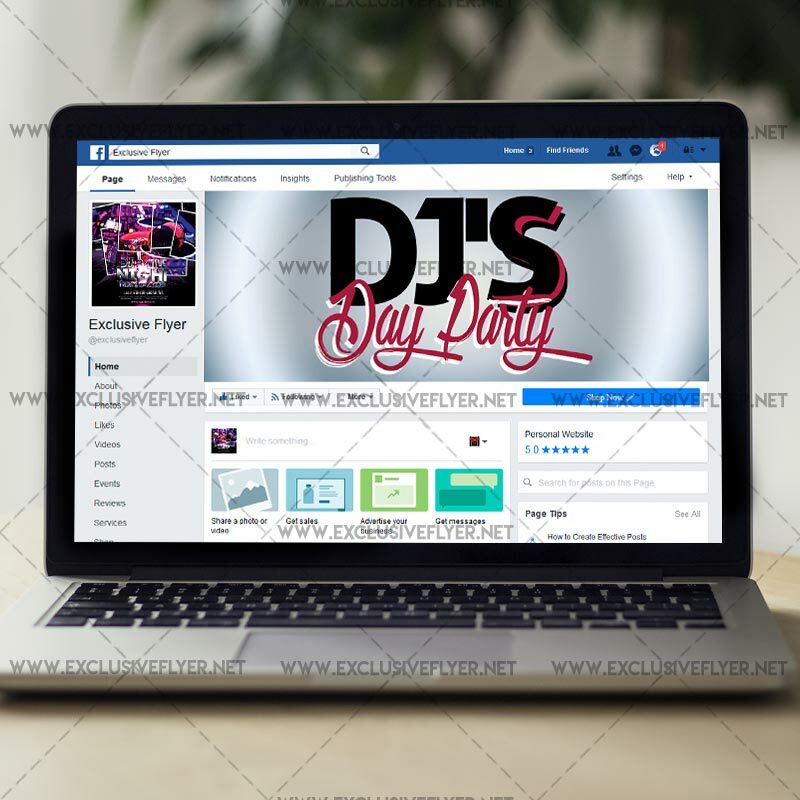 This Dj Battle Night Flyer is the exclusive Photoshop PSD template designed by ExclusiveFlyer team to promote your Dj Battle Night Party. SKU: 0.1343. Categories: Club Flyers, Special Guest Flyers. If you know, people all over the world will celebrate World DJ’s Day on March 9th and we decide to join the celebration with our bright PSD flyer design. 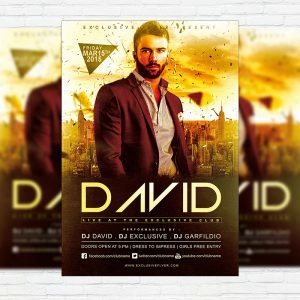 As you can see, we showed many dj photos on this template, big bright exclusive tittle text and a little details information, so you can change all of it. 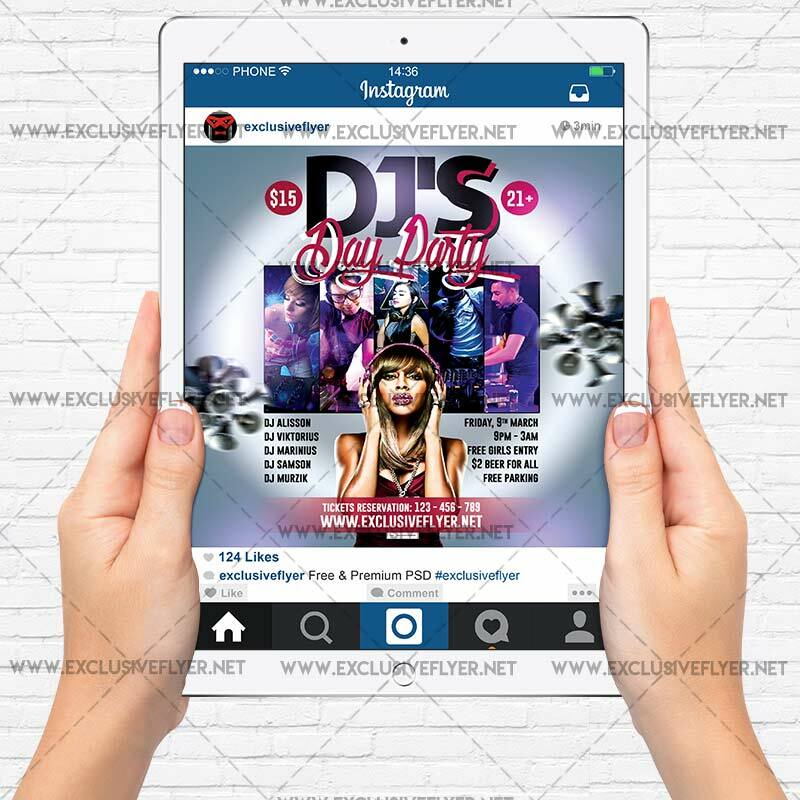 I’d like to note, you can use this PSD flyer template not only DJ’s Day, but for Big Dj Battle Night or Dj Guest Night Party. 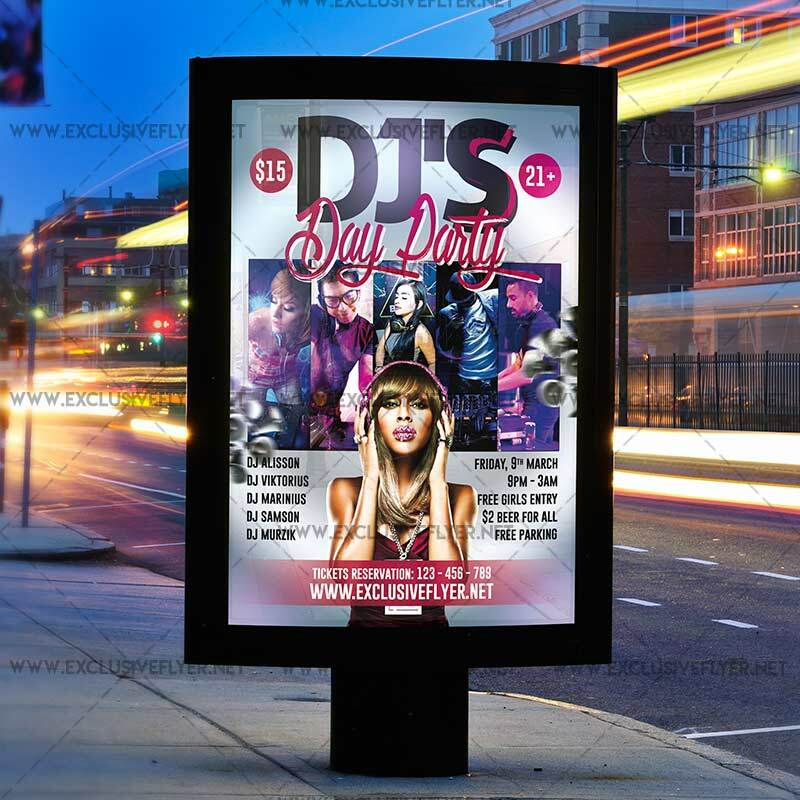 Well, create with our PSD flyer templates and be Exclusive! 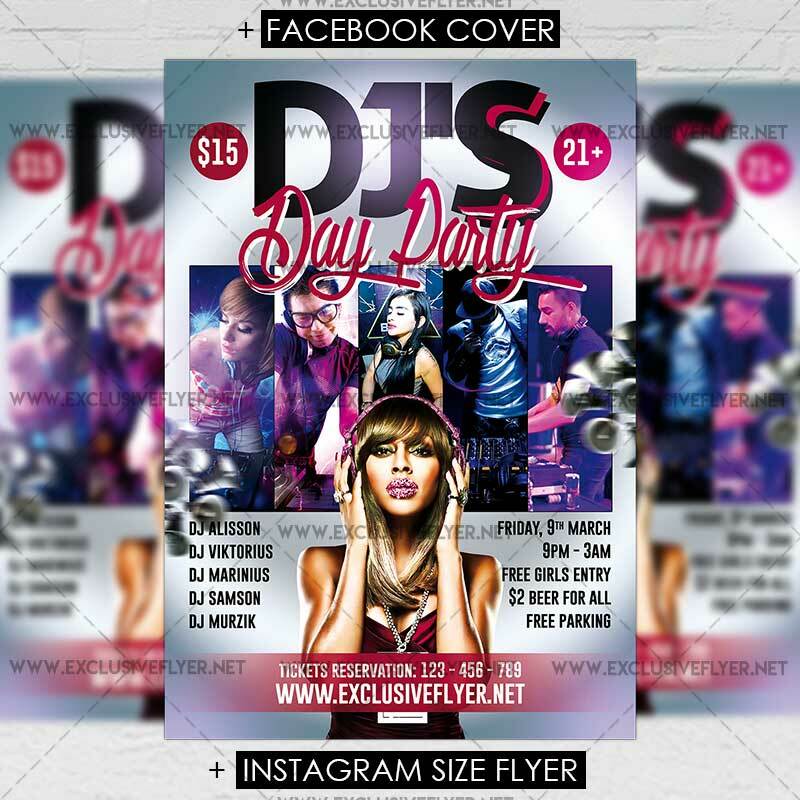 This Dj Day Party Flyer is the exclusive Photoshop PSD template designed by ExclusiveFlyer team to promote your Dj Day Party.